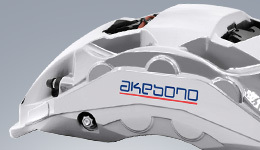 Corporate Governance System | Corporate Governance | Corporate Social Responsibility (CSR) | Akebono Brake Industry Co., Ltd.
Akebono has adopted the "company with an Audit & Supervisory Board" governance model. We have built a corporate governance system centered on the Board of Directors, Audit & Supervisory Board Members, and the Audit & Supervisory Board. We introduced the Executive Officer System in April 2000 to clarify the responsibility and the authority for business execution, and to enhance management efficiency. The Board of Directors meets regularly once a month, and extraordinary meetings are held as needed. In order to make prompt and accurate judgments on important management matters through sufficient discussion and reviews, Akebono established various important bodies, including the Management Council and the Board of Executive Officers. These bodies operate in accordance with prescribed internal rules. Furthermore, to complement the functions of the Board of Directors and strengthen the transparency and soundness of management, the Company has established the Director Nomination Advisory Committee and the Director Compensation Advisory Committee. As regards the selection criteria and candidates for the Board of Directors, the Audit & Supervisory Board, and executive officers, the Board of Directors determines these by resolutions after being discussed and reported on by the Director Nomination Advisory Committee. In addition, basic matters of the director compensation system are determined by resolution of the Board of Directors after being discussed and reported on by the Director Compensation Advisory Committee to ensure that the compensation system is highly objective and transparent. Management information and suchlike is shared through electronic media, thereby ensuring efficient information sharing among management officers. The execution status of business matters that have been decided is reported to the Board of Directors or the Board of Executive Officers, as appropriate, by the member of the Board or the executive officer who is in charge. This status is also periodically audited by the Audit & Supervisory Board Members and the Audit Department. The chairperson assigns a certain division (or an individual) as the secretariat of each internal important body. The secretariat is responsible for conducting paperwork such as notices of agenda and minutes. In order to ensure appropriate business execution by members of management, a three-way audit system is applied by means of the Audit & Supervisory Board Members and the Audit & Supervisory Board, the independent auditor, and the Audit Department. Audit & Supervisory Board Members attend essential management meetings, such as the Board of Directors meetings, to monitor the processes of important decision-making and the execution status of business operations. These members also exchange opinions with directors in order to examine without delay any matters that could have a serious impact on Akebono's management or performance, and then respond promptly. The remuneration for directors and Audit & Supervisory Board Members is determined by the Company's rules and the compensation criteria are clearly disclosed. Compensation for directors consists of fixed remuneration and performance-based remuneration. The fixed portion is basic compensation for duties and is based on positions. The performance-based portion is determined based on the performance of the Company and individual directors. 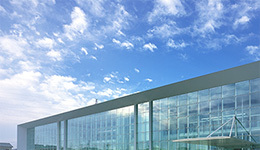 The amount of remuneration for each director is allocated within limits approved by the General Meeting of Shareholders The total amount of Audit & Supervisory Board Members' remuneration is also determined by the General Meeting of Shareholders, and the individual allocations are decided through consultation with the Audit & Supervisory Board. 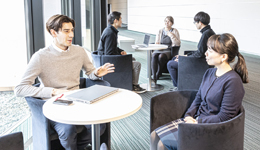 The members of the Audit & Supervisory Board, Akebono's independent auditor Deloitte Touche Tohmatsu, and the Audit Department closely cooperate by mutually exchanging information such as annual plans and audit reports, and by holding regular opinion-exchanging meetings. The Audit & Supervisory Board Members and the Audit & Supervisory Board receive appropriate explanations about the audit content from the independent auditor, and provide cooperation, such as witnessing the audits of the independent auditor, if necessary. In addition, they have regular meetings with the independent auditor as regards the audit system, the audit plan, and the audit implementation status. The Audit & Supervisory Board Members and the Audit Department comprise a mutually complementary system in order to enhance the effectiveness of each audit. 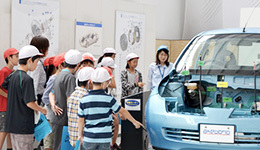 They cooperate in conducting the pre-adjustment of the fiscal year’s activities policy, in arranging the monthly report meeting, and in the mutual distribution of the audit report, together with conducting joint audits. Furthermore, the Audit Department and the independent auditor formulate audit plans related to assessments of internal control over financial reporting. The results of these audit plans are discussed at meetings held from time to time on a regular basis, as necessary. 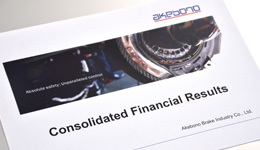 Akebono has adopted the “company with an Audit & Supervisory Board” of corporate governance model, building a corporate governance system centered on the Board of Directors, Audit & Supervisory Board Members, and the Audit & Supervisory Board. The Board of Directors vigorously debates over agenda items centering on management issues at each meeting. Three of the six directors are outside directors who possess a variety of experiences and skills thereby incorporating diverse perspectives into the company’s management and at the same time enhancing management’s supervisory functions. Audit & Supervisory Board Members carry out strict audits of the directors’ execution of duties. The two full-time members have detailed knowledge of the Akebono Group as the former General Manager of the Accounting Department and the former Senior Manager of the Legal & Intellectual Property Department, who also has a background in R&D. The three remaining members are outside auditors. Appointing highly independent auditors experienced as a lawyer, university professor, and certified public accountant ensures audits from a more independent position with professional perspective, which works to strengthen the Audit & Supervisory Board’s auditing function. We concluded that effective corporate governance could be assured for these reasons and therefore selected the current system.